The Eddy & the Stingrays benefit dance has been relocated to the WB George Centre on the former Kemptville College campus. The date of April 13 remains the same. With over 300 tickets sold, and a waiting list of 100, it was decided to change the venue in order to accommodate the larger crowd. Doors open at 8pm. 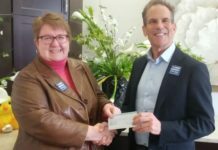 Bob Windsor, band leader, approached the Foundation with an offer to headline a benefit dance for KDH in honour of the band’s 39th anniversary. The band will celebrate with special guests, including former band members, all four ‘original’ band members, and some of their promo items and costumes from over the years. The KDH Foundation thanks the volunteer organizing committee for their ongoing support in spearheading this event. The Kemptville Lions will be keeping the bar tended. Catered Affairs will have a food stand, including nacho platters and chili bowls for sale. 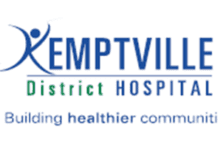 Established in 1979, the Kemptville District Hospital Foundation raises funds in support of the Kemptville District Hospital. Over the past 40 years, the KDH Foundation has provided over $12,000,000 in funding to the Hospital to purchase vital medical, surgical and diagnostic equipment not covered by any other source of funding.